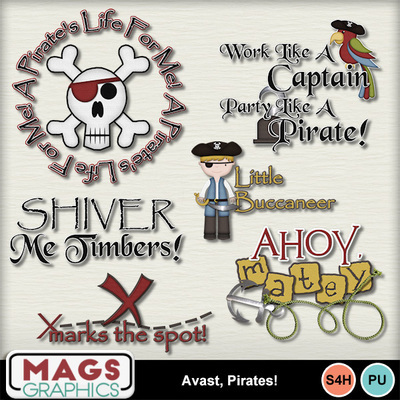 Accent your layouts with this set of five WORD ART / TITLES! These match the "Avast, Pirates!" Collection! Don't miss out on any part of this cute series.